Everybody wants to relive the '90s, but nobody has the courage to rock JNCO jeans. So on to the next best thing: picking up Nintendo's new Super NES Classic Edition. The miniature consoles work as Christmas gifts, but they're also just a good comfort to bring yourself in these trying times. Unfortunately, they tend to sell out immediately, so you have to act fast when they're available. Like right now. Best Buy just announced that it has these retro gaming consoles in stock on Friday, but they're only available while supplies last. You can grab one for the standard price of $80 at one of the retailer's locations across the country instead of shelling out $100 or more for one on eBay. So in case this is still unclear, supplies won't last. This deal is available in-store only, so you're going to have to leave the house. However, we recommend calling your local Best Buy to make sure there's still stock available before dragging yourself there -- potentially for nothing. Spend your holiday with Mario, Samus and Kirby. 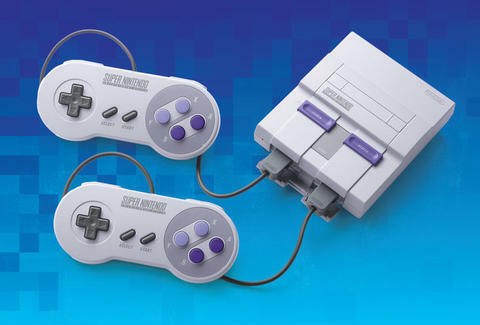 Much like its older brother the NES Classic edition, the SNES comes preloaded with an arsenal of classic games, two controllers, and an HDMI cable, which is weird because this thing runs in 16-bit, but that's not important right now. What is important is that you'll be playing 21 masterpieces of early gaming, like The Legend of Zelda: A Link to the Past, Donkey Kong Country, and Super Mario Kart -- not to mention the never-before-released Star Fox 2. While you're out, maybe pick up some JNCOs? All it takes is one brave soul to start the revolution. James Chrisman is a News Writer at Thrillist who will wear JNCO if you will. Send news tips to news@thrillist.com and follow him on Twitter @james_chrisman2.